Rockers, and bluesmen and guitarists, oh my! What an amazing line-up of talented musicians I witnessed this past Saturday out in Oshawa for the first annual Durham Rock Tribute Band Festival presented by Sunrise Concerts and sponsored by local radio station CKDO-FM. The roster included some of the best musicians I’ve seen play live, let alone their tribute material performed to perfection. The fans showed their appreciation with loud applause, screams and the occasional rebel yell after each hit and the bands gave back even more energy. So, now please meet my newest fave bands…. 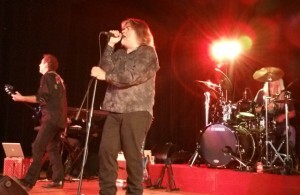 First on stage was SOUTHERN FRIED who performed the hits of Lynyrd Skynyrd and the Allman Brothers Band. 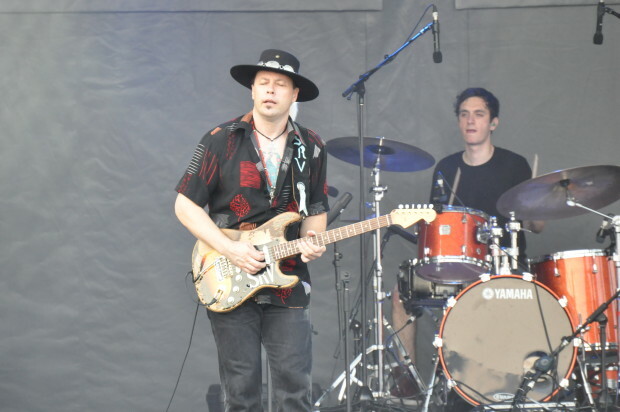 Then Gator James and his band BAD TO THE BONE brought George Thorogood to the festival stage…. 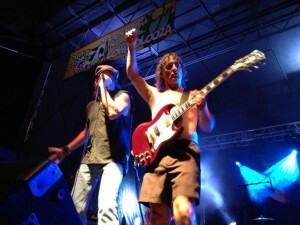 To close the evening, AC/DC’s best interpreters THUNDERSTRUCK hit the stage and blew the roof off. 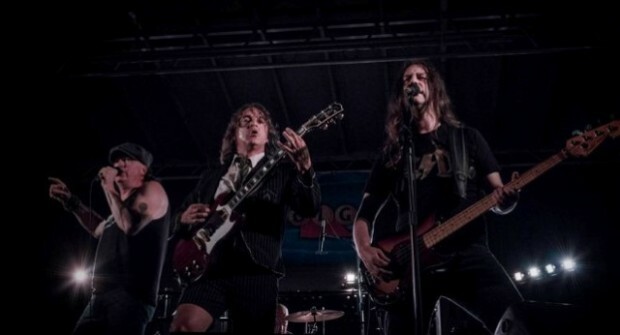 For me, my Aussie connection to AC/DC made this a very special performance [Angus Young’s brother, George, was a founding member of legendary 60’s Oz band, The Easybeats…and I still have my 45’s from back them]. 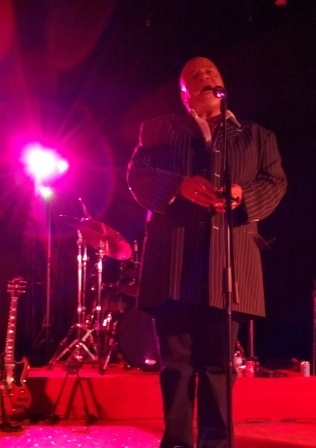 Big thanks to MC for the night KENNY ROBINSON (pictured below) who did a heroic job of keeping the show flowing – so tough for a comedian to work to a crowd seated waaaay back behind the dancefloor, but Kenny was in good humour all night (and got me home to Toronto by 3am!) 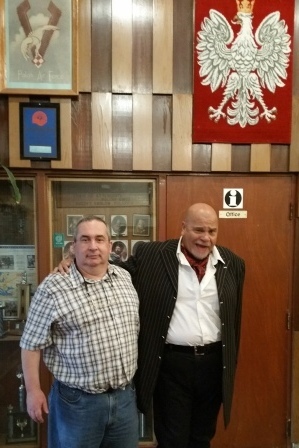 Congratulations to local promoter George Kotsopoulos (pictured below left, with Kenny in the lobby of Gen’l Sikorski Hall) for staging this festival. 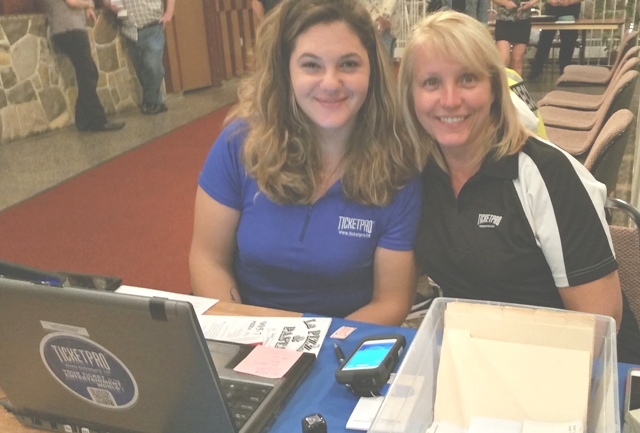 And a nice thank-you to the lovely ladies from TicketPro.ca who started everyone’s night off with big smiles and a friendly welcome! Thanks again to all the great musicians who contributed to a successful first-time festival…see you all next year! Posted in Festivals, Music and tagged AC/DC, Allman Brothers Band, Bad to the Bone, Bon Jovi, Bon Jovi Forever, Canadian musicians, George Thorogood, live music, Lynyrd Skynyrd, music festival, Oshawa, Southern Fried, Stevie Ray Vaughan, The SRV Experience, Thunderstruck, tribute bands on September 18, 2017 by fordhampr. 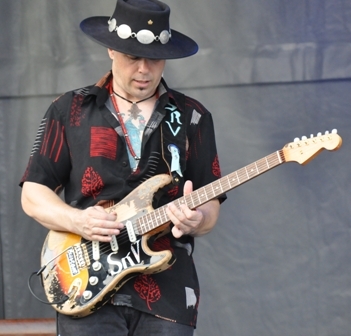 What first inspired you to sing and play guitar like Stevie Ray Vaughan? I saw him with Double Trouble at Toronto’s legendary El Mocambo in the 1983 video and I was hooked! What keeps you and your band on the road and performing for the fans? 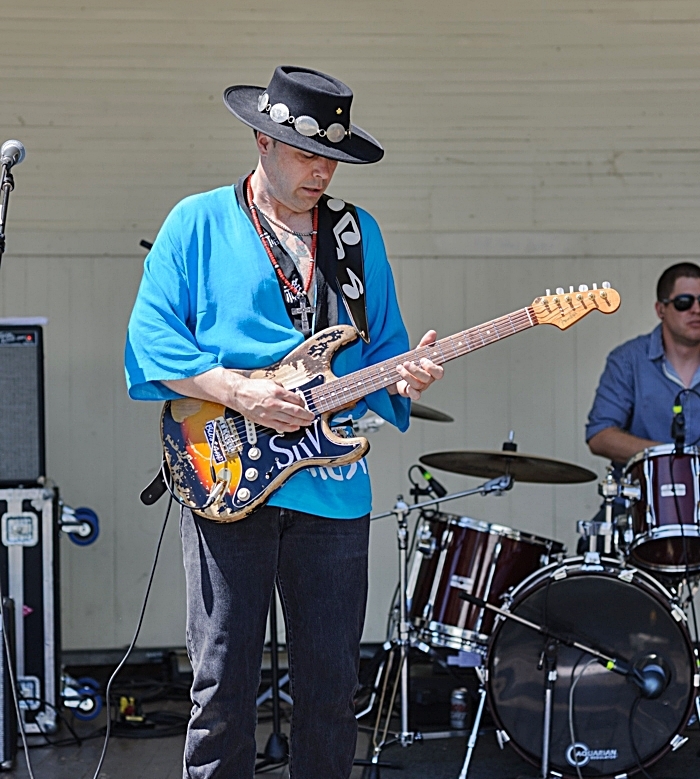 My passion for the music – I enjoy playing challenging music and SRV’s was difficult to master and very intense. Apart from the September 16th gig in Oshawa, where can fans come see/hear you in the coming months? We have a show booked at The Blue Goose in Etobicoke on September 22nd. 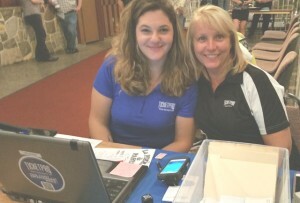 www.srvexperience.com and we’re also on Facebook. 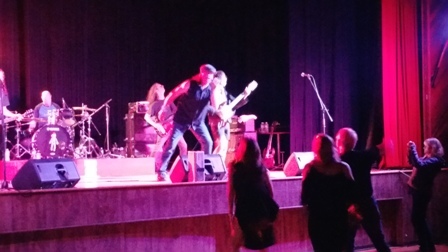 If you’re a fan of great rock or blues, you’ll love the line-up for this Saturday’s concert: Thunderstruck (AC/DC), Southern Fried (Lynyrd Skynyrd & Allman brothers), Bad to the Bone (George Thorogood), Bon Jovi Forever and The SRV Experience. 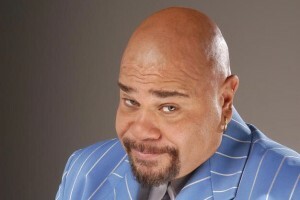 Your MC for the show is the incomparable, award-winning comedian Kenny Robinson. 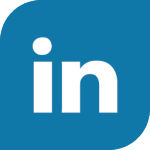 Thanks to our media sponsor…..
Posted in Festivals, Music, Special Events and tagged blues music, Double Trouble, Durham Ontario, El Mocambo, guitars, musicians, Oshawa, Stevie Ray Vaughan, the blues, The SRV Experience, tribute bands on September 13, 2017 by fordhampr. 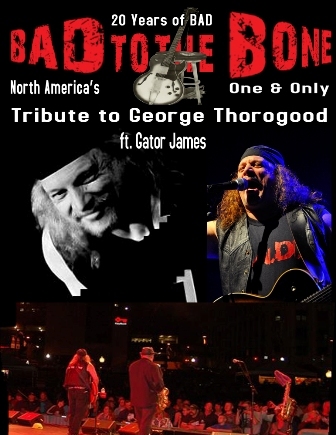 BAD TO THE BONE was formed in the summer of 1993 by singer/guitarist Gator James and has been going strong ever since. 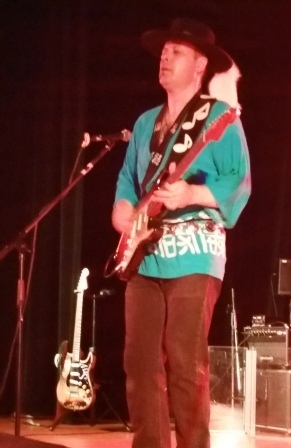 Based in Oshawa, Ontario, this band is the only authentic George Thorogood to tribute band playing across North American, and they continue to attract and entertain audiences from coast to coast. 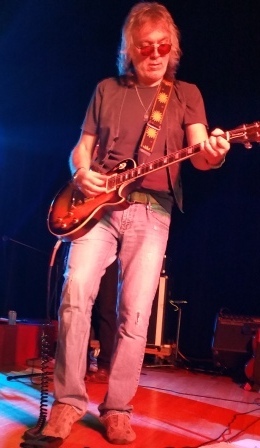 The band has shared stages with many well-known recording artists over the years, for example: April Wine, Kim Mitchell, David Wilcox, Georgia Satellites, Sass Jordan, and many others. 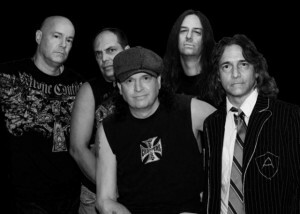 On Saturday September 16th, they join other great tribute bands [The SRV Experience, Thunderstruck, Bon Jovi Forever and Southern Fried] along with host Kenny Robinson, the award-winning comedian and tv personality, t0 play Durham’s 1st Annual Rock Tribute Festival presented by Sunrise Concerts (details below). 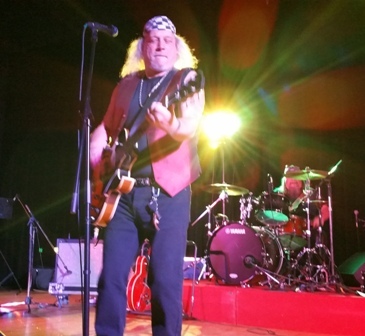 I recently chatted with Bad to the Bone frontman and founder Gator James about life on the road portraying the rock/blues icon…. What first inspired you to sing/play guitar like George Thorogood? I was doing “I Drink Alone” with a band I was touring with in the 80’s and when I came off the road and decided to put together a tribute band, one of the other members said my playing style and voice sounded a lot like him. So, we learned a few more songs and it really clicked. Was rock/blues your first passion or were you a closet disco lover? 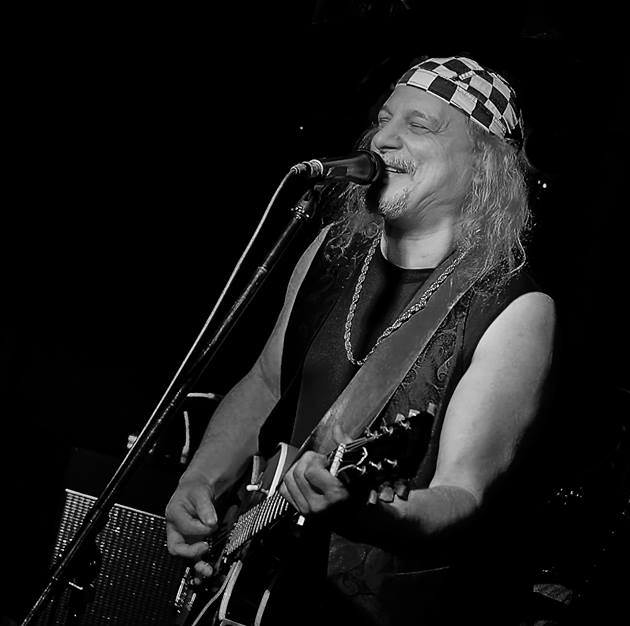 I’ve played many styles of music from classic rock to jazz, rhythm and blues to progressive rock. I always gravitated to music that makes you feel like moving and Thorogood fit the bill for me. What keeps you (and the band) on the road and performing for the fans? The feeling we get when we rock our audience and turn new fans onto George Thorogood. Have you ever met George, and if so, what was your first comment/question to him? I contacted Thorogood’s manager when I was forming the band and told him I would like to meet George to have him authenticate my poster when he was in Toronto. His manager told me George doesn’t like tributes so he said George probably would not comply. A few years later I got invited by a sound tech friend of mine to help him with staging at Toronto’s Government nightclub when George was playing there and I hung out with his guitar tech all day. I watched sound check and was even able to offer help as a stagehand during his show….. but was unable to get to him due to security. But at least he does know about us. 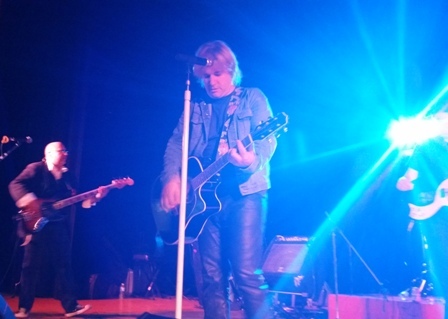 Apart from the September 16th gig in Oshawa, what other shows have you booked in the coming months…any Christmas or NYE concerts we should mark in our calendars? All our festival shows are done for the summer and we only have a couple of club dates as I am busy with my other band The Gator James Band. But we’re definitely waiting on calls for more Bad to the Bone dates. 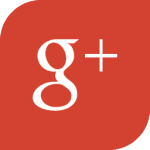 You can follow Gator and the band via their website: badtothebone.ca and their Facebook Group Page. 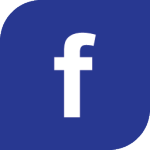 Posted in Festivals, Music and tagged Bad to the Bone, Canadian musicians, Durham Ontario, Gator James, George Thorogood, live music, music festivals, Oshawa, the blues, Toronto music, tribute bands on September 6, 2017 by fordhampr. Local music promoter Sunrise Concerts is presenting a special 1-night-only line-up of the best rock tribute bands in the country on Saturday September 16th (doors open at 5pm) at the General Sikorski Hall, 1551 Stevenson Rd N, Oshawa. Featuring Thunderstuck (AC/DC), Bon Jovi Forever (Bon Jovi), Southern Fried (Lynyrd Skynyrd/Allman Bros.), Bad to the Bone (George Thorogood) and the Stevie Ray Vaughan Experience (Stevie Ray Vaughan) the event will be hosted by comedian Kenny Robinson (winner of Canadian Comedy Awards’ “Phil Hartman Award” & star of numerous TV comedy specials). The venue offers seating plus full bar and food service. And tickets are available from: www.ticketpro.ca (but watch for upcoming special promo codes for early-birds and group discounts). This looks to be a fantastic night for fans of hard-driving rock, blues and southern rock so get your dancin’ shoes on and head out to Oshawa for this packed night of music and memories. 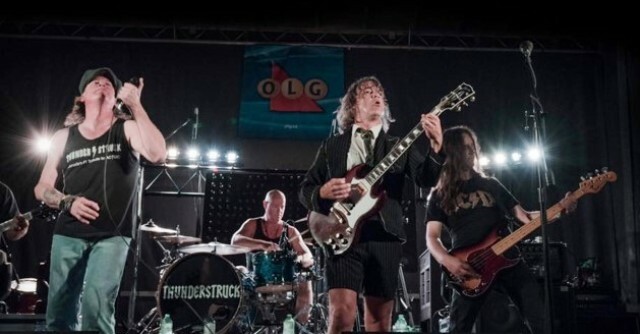 I recently spoke with the various bands and Blair Briceland, the vocalist from Thunderstruck shared his thoughts on performing the music of one of the most iconic hard rock bands in the world, AC/DC Blair, please tell me a little about Thunderstruck the band. The power of Thunderstruck mirrors the pure strength, energy, and sound, of a live AC/DC show. We formed in 2001 and have been touring for almost 16 years – we perform as detailed impersonations of each band member which includes the authentic guitars, amps, drums, and the trademark school boy outfit. This is a fun part-time group as we all work throughout the week; in fact, 4 of us own our own companies. 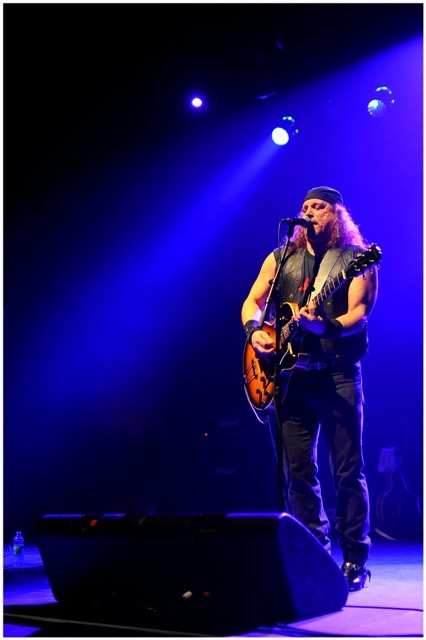 Back in 2015, we were chosen to back up Dave Evans, the original singer for AC/DC, on his first Canadian tour!!! Thunderstruck is: Vocals: Blair Briceland, Lead Guitar: Rich Trevor, Rhythm Guitar: Chris Newman, Bass Guitar: Pete Stewart and on Drums: Niall Mellors. What first inspired you to sing and perform like AC/DC? When I was in a top 40 band in the 80’s, I was playing bass guitar and was the only one who could sing AC/DC. That’s when I decided to perform as a tribute band, giving fans an up-close experience in clubs. The band has over 20yrs of combined experience playing rock – what keeps you (and the band) on the road and performing for the fans? We have a good product…and we like each other. Most importantly, we have fun with it. Have you ever met any of the AC/DC band members, and if so, what was your first comment/question to them? None of us have ever met the band…yet! Apart from the September 16th gig in Oshawa, what other shows have you booked in the coming months…any Christmas or NYE concerts we should mark in our calendars? A New Year’s Eve concert is in the works for the Niagara Falls area so watch for posters and promos. 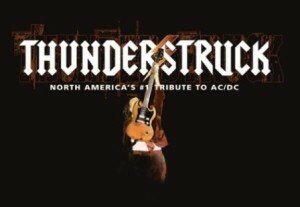 I can’t wait to see Thunderstruck in person, as well as the other bands on the concert line-up. And if you’ve never seen Kenny Robinson (below) MC a show before…you’re in for a helluva lot of laughs – the guy is a rock star himself! 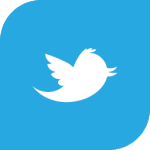 Posted in Events, Music, Special Events and tagged 70's music, 80's music, AC/DC, comedians, Kenny Robinson, live music, Oshawa, rock legends, rock music, Thunderstruck, tribute bands on August 17, 2017 by fordhampr.